In the Kingdom of God, there is no difference between the men and the women; both are considered alike—only the one who works the hardest surpasses the other. In the time of Christ, women were the great agents in spreading the Kingdom. The disciples would not have been confirmed if it had not been for them—Peter would not have been strengthened. In cultivating a garden, it makes no difference whether the gardener is a man or a woman—but if the woman works hard and takes care of the plants, she will certainly have a better reward than the man who idles. In the view of the Bahá’í International Community, the advancement of civilization now requires the full participation of everyone, including women. For this to happen, girl children as well as boy children must be valued by their families and by society. We share UNICEF’s distress at the blatant neglect of girl children, justified in many parts of the world as part of the culture. We concur with the recommendation, set forth in the Progress report on achievements made in the implementation of UNICEF policy on women in development (E/ICEF/1991/L.5), that UNICEF broaden its approach to maternal health to include an attempt to alter factors that affect girl’s and women’s health before maternity, including harmful traditional attitudes and practices. As long as the desire, however small, of a man for women is not destroyed, so long is his mind attached, like a sucking calf is to its mother. Cut out the love of self, like an autumn lotus, with your hand. Cherish the path of peace. 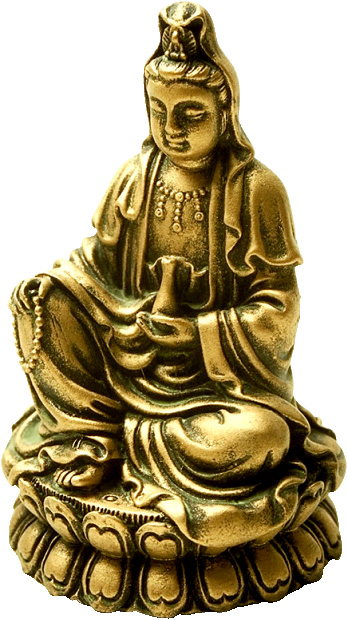 Nirvana has been shown by the Buddha. The Creator’s self, as it were, not a mere creature!